2014 is ended with lots of memories and now another year started with new aims, goals, and efforts. 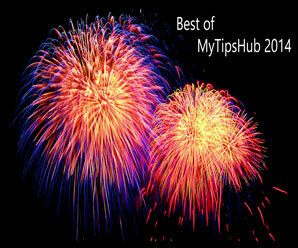 If we talk about last year it was just awesome and full of joy for MyTipshub Team. We achieved many pre-planned goals and also some didn’t. We also post our journey about MyTipsHub in 2014. Here we will like to mention a list of “Best Posts of MyTipsHub in 2014“. Google adsense is one of the finest monetizing network for generating revenue from your blog. If your blogs have good traffic then you can earn good income from highest paying keywords of google adsense. Google introduce this ad serving network few years ago and its ad-serving network works on the keyword density mechanism. SEO is all about optimizing website for better search engine ranking and also enhancing visibility in SERP’s (Search Engine Result Pages). When we talk about images, It is important to optimize your images for SEO friendly. You can do this by adding Alt Tag in images. Google Play is a giant online apps store for downloading android apps and games in android devices. You can install any application from this platform easily in your android smartphone or tablet, but some time it’s very difficult to install your required stuff directly from google play due to slow internet speed, bandwidth limits or data charges etc. Website or a blog is a great way to explore your thoughts world widely, accessing to any site we need a complete address of site which is also known as URL address, for example if we want to open “Facebook” then we need proper URL address of Facebook which is www.facebook.com. WordPress SEO plugins are important to enhance search ranking, search engines visibility and also for increasing CTR rate(click through rate). In this competition era you need to optimize your blog and posts by following SEO tactics to increase search rankings. We hope readers you will like Best Posts of MyTipsHub in 2014. Please let us know about your great feedback on this post in the comments section. Join us on social media @Facebook @Twitter @Google+ @Pinterest @RSS Feed and share this site with your friends to promote us.